We all fantasize about the large mansion with enough space for our boutique size closets but many of us, will never have that dream come true. Don't despair! We, here at Inside Realty, have compiled a few tips and tricks to make your small space feel bigger. Bet you've never heard that one before. We may not always love the mirror when we roll out of bed after a long work week but in the grand scheme of enlarging a small space, it's vital. 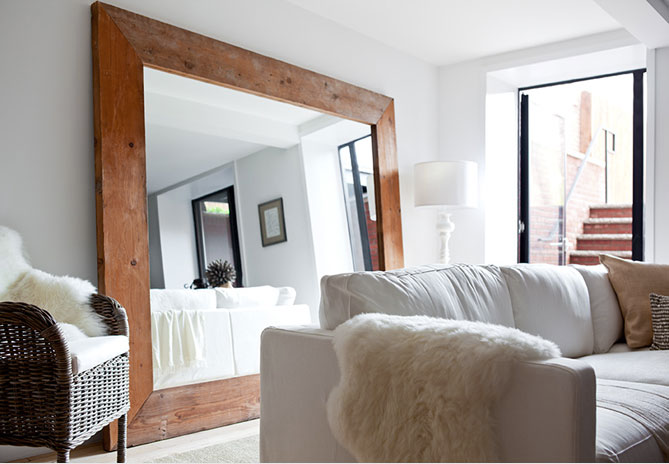 A large mirror can reflect off a focal point or even give the optical illusion of more space. It helps to open up a room and deflect light so the room appears both larger and brighter. We've all heard the saying that lighting is key but for once, we aren't just talking for selfies. Your window covers should either be sheer or light to increase light flow in the space. You may even want o invest in proper lighting. Not only does it help with mood and even migraines, investing in good LED lights can enhance the feeling of a space. Sure, that large lazy boy sounds like a good idea when you're craving comfort food and a football game but in reality, it can shrink the space by half. Opt for furniture with legs, in light tones. This will help people visualize more space. If you have large items, make sure they are against walls. Never block walkways or the center of a room. Don't forget to measure all furniture pieces. More than anything you have to make sure the dimensions fit the room and keep the room from being overtaken by the sofa. Yes, You Have to Clean. Do not allow build up of clutter to overrun your home. This will obviously minimize space. If you have too many pieces of art or decor all over the home then it will make things look more crowded and in turn, decrease the space in the home making it feel a lot smaller. If your home comes with built-in wall fixtures, this already helps you skip a step. Simply put the books in there and keep things out of the way. If you aren't so lucky then install floor-to-ceiling bookcases for all of your literary treasures. It helps make the room appear classic and the walls taller. Sure, pinterest recommends vibrant colors and busy wallpaper but in reality too many different prints can actually make a room feel more cluttered and in turn smaller. Go for delicate tones and clean lines. Preferably one with cool toned color schemes. You can keep it from looking blank by adding in accent pieces. The best space-saving thing you can do in a small space is buy multifunctional pieces. The less furniture you have, the simpler it is to keep an open space. Think beds with drawers or tables with extra cubbies. Tired of living in a small space and looking to upgrade? 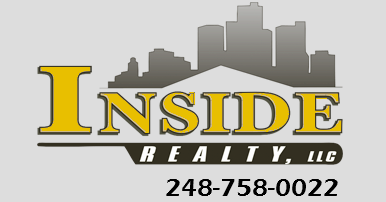 Call us today to help you find your dream home!